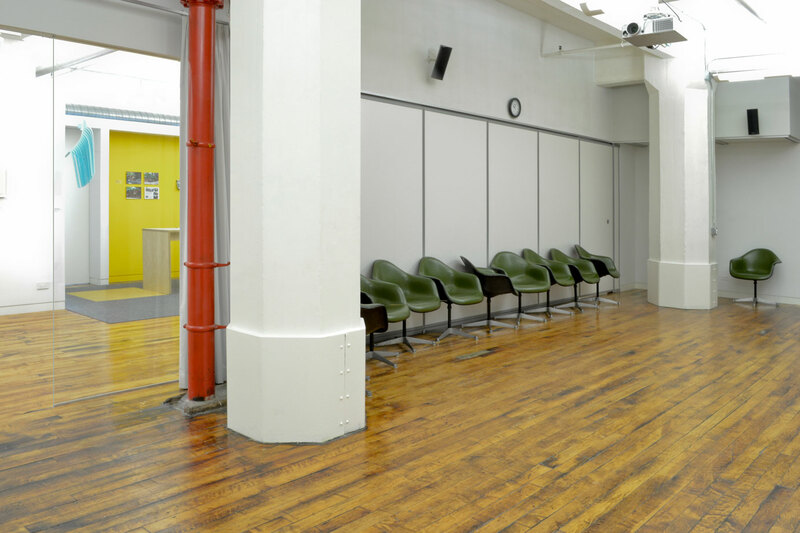 an office space for an organization that facilitates the development of artists based in the state of new york. 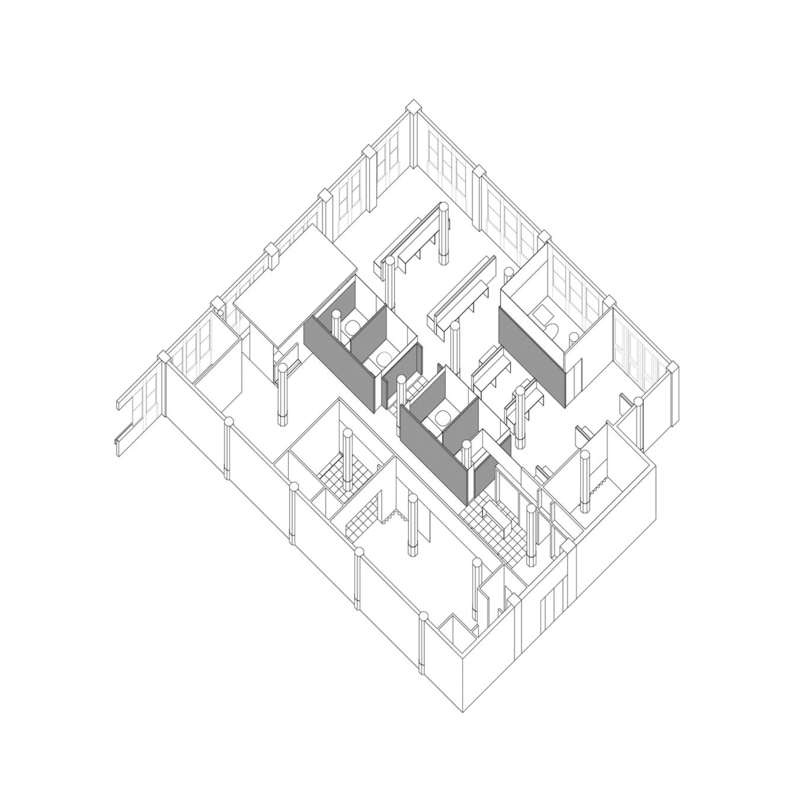 1 – axonometric. an alternative to a structured institutional hierarchy, important points of interaction emerge from existing everyday patterns of use. 2 – large conference room with sliding panel doors closed. architecture rarely operates in a perfect environment; a particular solution might fail part of the time for certain groups. 3 – mail room. various types of space for gathering create difference and interruption. 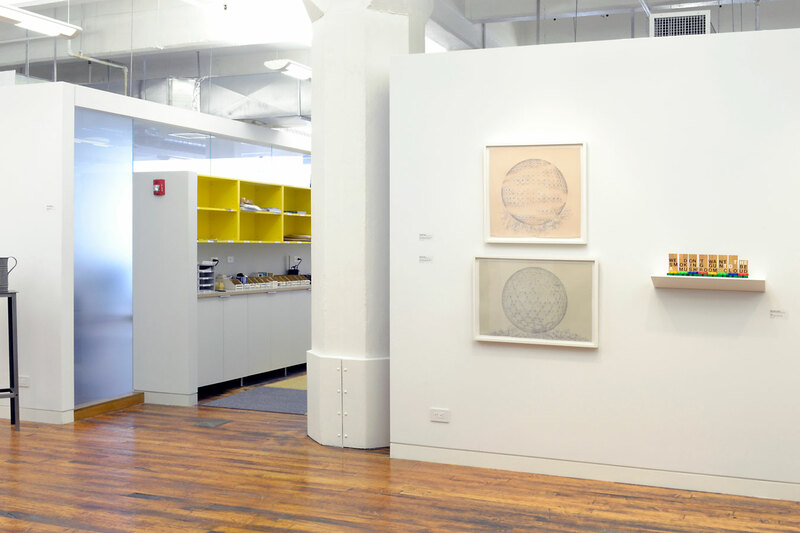 the design of the new york foundation for the arts (nyfa) offices in brooklyn increases the potential for interaction between the nyfa staff, individual artists and the larger art community. by focusing on frequently used resource areas within the program – screening room, library, copy room and kitchen – the design builds a strong workplace community by creating an environment that encourages artists to participate in developing the resources that nyfa offers. the project establishes a non-hierarchical office plan where private work spaces are dispersed within the landscape of open workstations. passage to and from the key resource areas is seen as opportunity for loose patterns of social interaction to occur within the office environment. acoustic and visual screens are provided by an open frame work intended for the hanging of potted plants and climbing indoor vegetation. the relationship of open to closed spaces requires an impartial treatment of the perimeter. the idea was to create an equitable work space with as much access to the western and northern views as possible. enclosed offices are set back from the windows to a point where they create filters and thresholds between the open work spaces and the more public areas of the foundation.